Please join us for an opening reception on Friday, February 1 from 5-9pm at the UT Downtown Gallery. 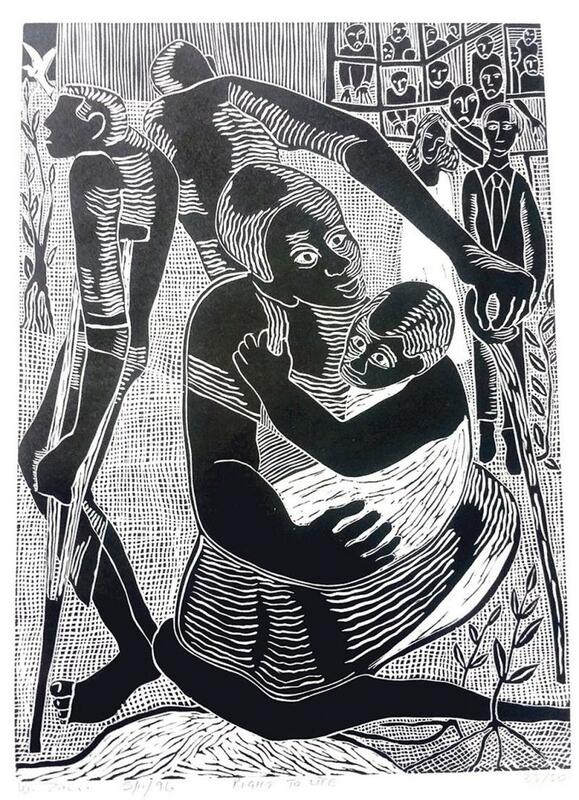 Images of Human Rights features fine art prints, created by artists representing the nine provinces of South Africa and hand printed by master printmaker Jan Jordaan. The print portfolio was conceived of and released in 1996 by the Images of Human Rights Portfolio Committee, in commemoration of the newly post-Apartheid nation’s Bill of Rights. Funds generated from the sale of portfolios are deposited in the Artists for Human Rights Trust account and are used by Amnesty International and other organizations for human rights education programs for the young people of South Africa.